Those of you who have read my earlier blogs will know that over the past dozen years, it has been my privilege to have shared in two separate book groups – both quite different in their membership and dynamics. The sticker on the front of the book announcing that Salt Rain was a Miles Franklin Literary Award short listed book for 2005 beckoned me. So, I started the book Saturday afternoon and finished Sunday afternoon. Granted, it is only 215 pages, but even so I was compelled to find the secret lying behind the life of this dysfunctional family. The rain began as the train pulled slowly up the coast, through the small towns and dairy farms. Iconic Australian landscape with the symbolism of rain evoking immediately the knowledge that this story will be about cleansing from the effects of some sort of trauma had me hooked. Gritty! Yes! I love reading about how others respond to difficult circumstances in their lives. These recurring literary characters who operate outside acceptable human boundaries and cause tragedy to unfold In the lives of those around them fascinate me. This book works on many levels. The language is rich with imagery that I strongly relate to: my upbringing on a farm and its local community events such as the local show and my current experience of living amongst a rainforest. Petal picked up one of her biscuits…and took a bite…’Brown sugar shortbreads. My mother makes them too.’ She walked over to the table. Julia had forgotten to press a fork into the top of the pale discs. Such a simple observation that raises lots of questions. As the story unfolds we learn that Mae hasn’t been truthful in her depiction of farm life. Has Mae embellished the finish on the biscuits as she has done with the truth about her youth, or alternatively is Julia rebelling against the reality of farm life as she experienced and knowingly does not press the fork into the back of the biscuits? Julia’s rebellion is most evident in her quest to restore ‘natural order’ to the farm that has been the scene of destruction for their dysfunctional family. Her fervent planting of native trees to hide the fact that this property was once a dairy is her attempt to obliterate the past and all the hurt associated with it. I do question though, her struggle to achieve this. In my experience, the rainforest or the ‘natural order’ are ready to take over without warning. You have to be vigilant to stop it taking over. But that’s a whole other exploration of life as we, or I know it. As a literary device, the weaving of stories old and new to present Allie with confusion and contradiction about her Mother’s life and the story of her heritage also works well. The suggestion of the ‘balloon man’, initially conjures up images of fun and frivolity and in Mae’s case, either inextinguishable passion or sadly the fickleness of itinerant workers. About the only element that didn’t add up for me were the ages of Mae and Julia. The calendar dates do add up of course, with Mae being 29 and Julia 27, but their characters both seemed much older and in Julia’s case much ‘crustier’ than a relatively young 27. Spoiler alert. If you are intending to read this book, please come back to the blog later. After Allie’s exploration of the facts surrounding her mother’s ‘first love’ and her wanting to be close to her absent mother through closeness with Saul, It is confronting and uncomfortable that Allie and Saul do sleep together. For Allie it is the playing out of girlish fantasies about the purity of first love. Sadly, having been aware of her mother’s bartering of her sexual favours for tradesmen and goods, the idealism of teenage years and long lasting relationship has been tarnished. For Saul it is the ‘fantasy’ consummation of his relationship with Mae. To mend his heartbreak over Mae, Saul left the valley in search of better things, had an unsatisfactory subsequent marriage, but then returns to the valley he grew up in. It seems that Saul has extinguished all his desires and need to be someone in this world. He’s living back at home, working difficult hours and having dinner with Dad and Stepmum every night. That is, until Mae’s daughter turns up. And again here is where I struggled with the ages of the main players in this story. Saul would have been about 29, Allie as we know turned 15 through the story. In even 10 years, the age difference would not have been much of an issue…well certainly in 20 years it would not have been any issue at all. But it wasn’t about the age difference, it was about relationship and characters who operate outside acceptable human boundaries. Allie thought/hoped that Saul was her Dad. He wasn’t, and here’s the dark, dark, dark. Allie’s grandfather was her Dad. She shared her mother’s Dad. 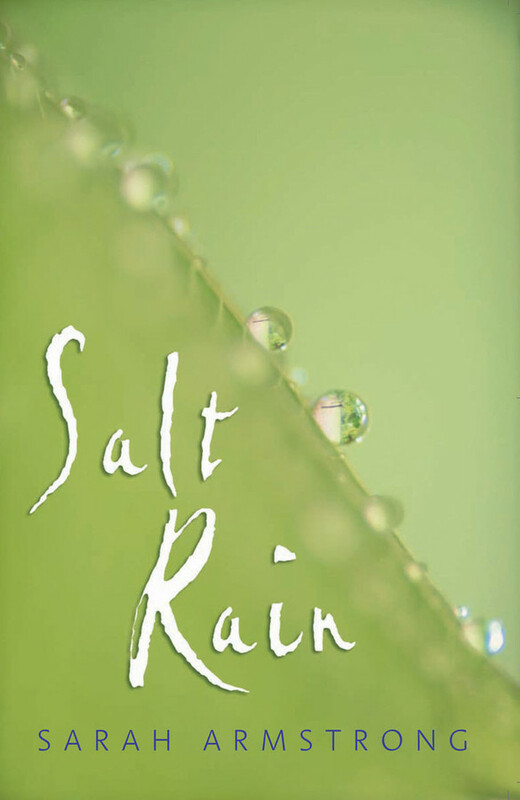 This entry was posted in Book Groups, Books I've Read and tagged australian literature, book groups, Salt rain, Sarah Armstrong by wentowrite. Bookmark the permalink. I have not thought about pressing the back of a fork into biscuits for forty years, yet the moment I read that in your blog I was back in mum’s kitchen on the farm… Isn’t it funny how evocative some things are. Most writers, who are trying to understand or explore something, or who are raising social issues will be dark at some point. In some cases it depends on how far a writer is willing to explore and nudge societal boundaries, or what they’re trying to achieve through their work. Of course you have no control over how a reader will interpret your work, nor should you. I think you have to have light and shade in writing and that, the darker the subject, the more light you need to give it. Thanks for you support Ruth and sorry to hear you are unwell, especially given the ‘moving work’ you have to do. Yes, all the cooking references through the book were powerful for me and like you, haven’t ‘forked’ a biscuit for many a year! I agree the light and shade in a book is an element that needs balancing. I also remember coming across the term ‘the writer is dead’ when at uni – it was so liberating! Instead of agonising over trying to work out what the author means, applying personal experience to any body of writing and trusting your own response will ultimately be a more rewarding outcome. Best wishes in feeling better and with your relocating.